Dog Breed Traits: Which Canine Characteristics Are Right For You? Home > Finding a Good Dog > Which Dog Breed Traits Are Right For You? There are many different traits or characteristics that a dog might have. He might be small, medium-sized, or large. He might need lots of brushing, or not much brushing. He might need two hours of daily exercise, or only a couple of short walks. He might be a peaceful dog, or more on the bold or aggressive side. He might be easy to train, or more stubborn. Which dog breed traits are right for you? Which dog breed traits would be best for you depends partly on which ones you find most appealing. Dog breed characteristics come with responsibilities that you need to fulfill if both of you are going to be happy. Which traits would be best for you depends more on whether you're able to DO whatever those traits require you to do. 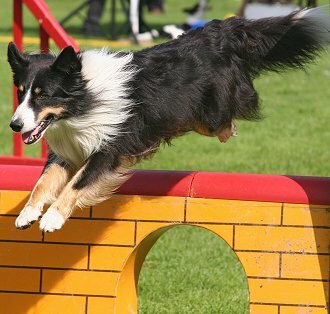 For example, you might admire the athleticism and high energy of a Border Collie. But those traits are only a good match for you if you can provide all the activities and exercise that athleticism and high energy require. Don't have the time? Then athleticism and high energy aren't good matches for you – and you're not a good match for an athletic, high-energy dog, no matter how appealing you find him. People often make the mistake of thinking that the only thing that counts when choosing a dog is whether he meets their needs. But when you think about it, that's really not fair, is it? You also have to consider the dog's needs, and whether you're able to provide for those needs or not. Every dog has different needs. Some dogs need lots of brushing or clipping. Some dogs need a home without children or cats. Some dogs need an extra high fence to keep them confined. Some dogs need a great deal of socialization to prevent aggression or shyness. Some dogs need an experienced owner who knows how to handle dominance. So for each dog breed characteristic, don't just ask yourself if you like that trait. Also ask: "What does this trait REQUIRE from me.... and can I do that?" Toy breeds have many wonderful characteristics, but you also need to be aware of the problems that come with their tiny size. TINY dogs can be hard to keep safe. They get stepped on, sat on, squeezed too tightly, or hit on the head by a falling object. They jump from your arms or fall off the bed. They're injured playing with larger dogs. They can squeeze through the narrowest openings and escape. TINY dogs can be difficult to raise and train. You must walk a fine line being careful about their safety, yet requiring them to stand on their own four feet whenever possible. Spoiling a tiny dog (by carrying him around like a baby or making excuses if he acts rudely) can turn him into a neurotic or nasty little creature. TINY dogs can be hard to housebreak. Their miniaturized bladder means they need to go to the bathroom frequently, and often the urge comes on them quickly. If they can sneak behind a chair to "go", they quickly develop the bad habit of "going" in the house. 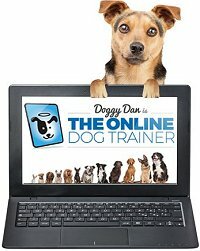 Can you provide the safety, caution, discipline, and patience that tiny dogs need? If not, you might be better off with a dog who is a little bit larger – perhaps SMALL instead of TINY. 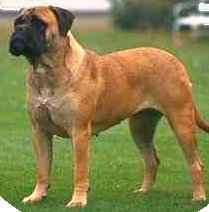 Giant breeds have special needs that you must be able to handle if both of you are going to be happy. At the other extreme, GIANT dogs make impressive companions.... IF you have enough space for them to move around comfortably, IF you can handle and control a huge dog, and IF you have plenty of patience. Giant dogs take a long time to grow up. They act like puppies and teenagers for 2 to 3 years, which means they're bouncy and clumsy and tend to knock things over. They settle into calm, mature adults for another 2 or 3 years. Then they develop serious health problems such as cancer or heart disease. They age rapidly, and pass on at 6 to 10 years old. Can you provide the space, control, and patience that Giant dogs need? Can you pay for their health problems as they mature? Are you prepared for their short lifespan? If not, you might be better off with a large or medium-size dog. With some dog breeds, like Beagles, you need only brush dirt and loose hair from their short coat. Other breeds, like Golden Retrievers, require brushing and combing every week to prevent mats and tangles, plus some trimming. Dog breeds with a long coat, like a Maltese, require dedicated brushing and combing every other day or so, else their coat will be a painful matted mess. Alternatively, you can have long coats sheared short every few months so they're easy to brush – but you must commit to having this done. And some coats (like Poodles, Bichons, Cocker Spaniels, Miniature Schnauzers) require significant trimming and clipping multiple times a year. Again, this is an example of how you shouldn't choose a coat just because it appeals to you. Ask yourself: "Can I commit to the amount of care it's going to need?" 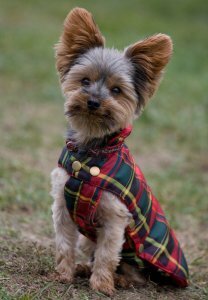 Your dog will thank you for thinking of him! For many years I had German Shepherds, one of the worst shedding breeds of all time. Although I loved them dearly, I don't want that much shedding now. In fact, I'd like no shedding at all, but the only breeds that don't shed at all are hairless breeds. Every other breed sheds. Yes, every breed. If a dog has any hair or fur at all, that hair or fur has a life cycle – it grows, dies, falls out, and is replaced with new growth. The same thing happens with your own hair. Of course, some breeds shed more or less than other breeds! Unfortunately, there are only about a half dozen dog breeds that shed very lightly – these are the best breeds for allergy sufferers. There are about two dozen more breeds that shed lightly – some allergy sufferers do okay with these breeds too, while other allergy sufferers definitely don't. The majority of dog breeds are average shedders. In our temperature-controlled houses, they shed very small amounts of hair all through the year PLUS a heavier 3-week shedding period each spring and fall. There are about 200 purebred dog breeds in the United States, plus lots of crossbreeds and mixes. As you research each breed, you should compare how well the breed seems to match what you need – and also make sure you can can provide whatever the breed needs.